This hilltop 56.9 ac. m/l farm offers tons of road frontage and lots of possibilities. Currently used as a horse and cattle farm. Property has several nice buildings plus a 3 bedroom, 1 bath home that was built in 1974 by the seller. Property also has the original 1806 home on the property that was constructed in our pioneer days and is in great condition. Beautiful Brick two story home located just minutes from US 35, Hospital, shopping, downtown and more! With over 3500 square foot of finished living space you will have plenty of room to roam inside. 80 acres with fully furnished 3 bed 1 bath log home. Eat-in kitchen, family room, loft, wood burning fireplace, full basement, county water service, recently installed HVAC system with central air and alarm system in both the home and pole building. Wrap around deck. Home sells fully furnished. 5+ acres of valley meadows. 24X42 pole building. Seller does not own mineral rights. Beautiful private setting. Quiet, wildlife abundant, lots of trees, goldfish pond, fire pit and gazebo. Covered front porch, decorated wood fence around front, side and back. Multi-level deck along back with bench. Upper balcony. Large hallway, living room and master bedroom. Master bath with tub, shower, porcelain tile floor, new vanity, walk-in closet plus linen closet. Exceptional 49+ ac. m/l that was originally a successful tree farm that still has 100's of trees that could be sold. 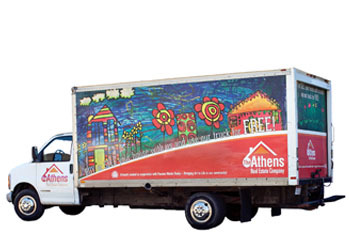 Located on a hardtop road and close to Athens. These rolling hills and gorgeous valleys offer so many opportunities for someone who wants a beautiful building site or sites. Located close to Ohio University and uptown Athens this 7 bedroom, 3 full bath home is just what you've been waiting for. Students love the large common room, high ceilings, spacious kitchen, and big bedrooms!! This classic rental offers hardwood floors, wide wood trim around the floors and windows and laundry facilities in the basement. Extras include large front porch and offstreet parking. Elegance and style meet tranquility and warmth in this Atha Family Custom built home. With an enormous eat-in kitchen, Dayton custom maple kitchen cabinets with Stile Touchstone and Corian countertops, hardwood flooring and oak cents through the main level one find tasteful style in this stunning brick ranch. Welcome home to 88 South May, a home so warm & inviting that you'll simply want to live here! Really, here's that rare combination of thoughtful upgrades and contemporary dÃ©cor that integrates seamlessly with the charm and craftsmanship of a circa 1930s home. If you have been looking for a fantastic hunting property then look no further. Loaded with deer and turkey makes this ideal for the serious hunter. Several perfect building locations, gorgeous views, and privacy at it's best. Imagine the possibilities that this French-Inspired brick ranch home will afford! Conveniently located in town on a large city lot, its crescent brick drive and walk lead to a charming courtyard entrance with wrought iron gate and mailbox. This 5 bedroom, 3 bath home is incredible and sits on a gorgeous 6+ private acres m/l. When you open the front door and enter the foyer, you will find an absolute breathtaking and open floorplan. Owner has designed a large kitchen & dining area that opens up to a spectacular Great Room with vaulted knotty pine ceilings, large windows and a gas fireplace. 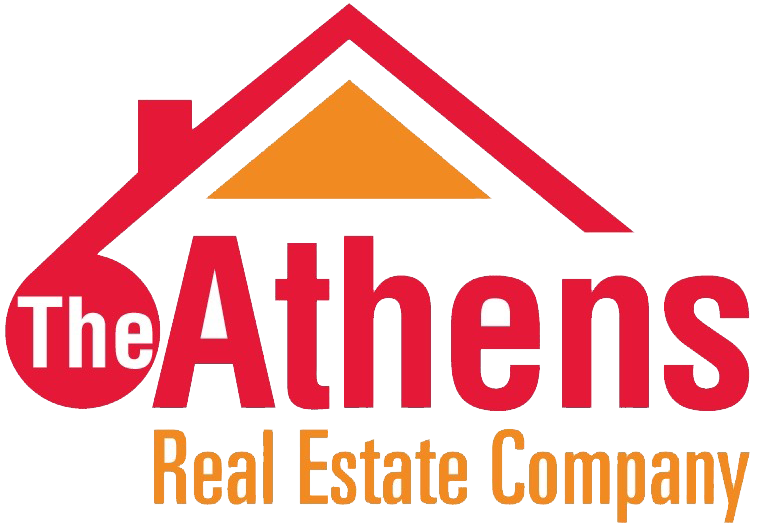 At last an affordable home in the favored Oakmont area of Athens! This picturesque 4 bedroom, 2.5 bathroom home is on a level, fenced lot and is in great condition. Move-in ready! Wood floors throughout plus carpeted bonus room with skylights over the 2 car garage. The gracious entry has a coat closet and is open to a large living room, formal dining room with french doors to the patio. Welcome home to this bright, inviting, move-in-ready 4+ bedroom contemporary just minutes from uptown Athens. The main living area features an open floor plan with vaulted ceilings, hardwood floors & lots of windows. The remodeled kitchen boasts higher-end cabinets, solid surface countertops, ceramic tile backsplash, gas stove, & more. This beautiful 4-square has been updated inside and out while retaining all the character of an Eastside Athens home. Here to stay in the 3 bedroom home are the beautiful original wide oak trim, hardwood floors, expansive front porch and ideal location close to town, campus, library, bike path, restaurants, shops and the best trick or treat anywhere. IMMEDIATE OCCUPANCY. Exceptional curb appeal and updated 4 bedroom, 2.5 bath home plus large bonus room and full walk-out basement in the popular Oakmont neighborhood. As you enter the front foyer, you'll find a bright and well designed home for entertaining. The one and only within the village, the Albany Laundromat can now be your next investment. This 24 hour, cash only business has the central location and is fully equipped with 9 security cameras w/ monitor, vending machine, soap dispenser, and all of the equipment for a fully functional laundromat. Beautiful, large, 4 bedroom, 2 1/2 bath home located in the desirable Oakmont subdivision! Easy drive into town but not in the hustle bustle. The main level features a tiled entryway, living room and formal dining room featuring it's own balcony. You'll love the large, open, eat-in kitchen with 42" custom, oak cabinetry, pantry, island and desk. Calling all artists, writers, musicians & dreamers of this world: park "normal" at the door and enter this enchanting & architecturally-inspired "dome home" on Bobo Road! There's nary a nook that's not thoughtfully designed to inspire a life well-led, and read. Gorgeous 3 BR, 3 Bath cedar home built in 2003 with in-ground pool and pool house. Property includes a 30x40 pole building with concrete floor next to house. Take a look at this cozy brick ranch surrounded by 22.55 acres of land, mostly cleared for pasture and hayfields. The house is four bedrooms, has two full baths, two large living and entertainment rooms, ideal for large family gatherings and a backdoor porch and fire pit area perfect for summer sitting, A detached two car garage is only steps away. Don't miss this turn-of-the-century brick American Foursquare with beautifully preserved woodwork! Located within walking distance of Ohio University & uptown Athens, this move-in-ready home has hardwood floors throughout and ceiling fans. With this 4 bedroom, 4 bath Cape Cod style home, you will have everything you ever wanted in a home! On the main level you will find a spacious living room, an open concept updated kitchen with dining area, making entertaining a breeze. Want country? How about 77+ acres (ato) worth of country? Secluded, peaceful and cozy...wildlife, pond, woods, just imagine! 30 X 68 Schultz 3 Bedroom 2 Bath mobile home with a large wood deck. New shingle roof installed in August 2018. Open kitchen, dining and den with wood-burning fireplace! Included in the sale is an insulated 30 X 50 metal pole barn. Exceptionally well maintained and updated 3 bedroom, 2 bath home with a large attached 2 car garage plus a 40 x 60 detached garage. As you walk upon the covered front porch and enter this home, you will see the open floorplan with updated hardwood floors throughout whole house. Enjoy the gorgeous open design incorporating the dining, living & kitchen with stainless steel appliances. ALL YOU HAVE TO SAY IS "EAST SIDE FAMILY HOME"! Super convenient location - 4 bedrooms - living room - dining room - family room - bright kitchen - 2 full baths - (could be first floor bedroom suite) - fully appliance with washer, dryer, freezer and kitchen appliances - breakfast area - handicap enhancements - so much charm - so much quality - and very well priced. Who Said It's Not Your Business! This can for sure be your business site. Where else can you find a easy to develop 1.72 Acre tract zoned Commercial Business in Athens. No Where! ALL UTILITIES and priced for less than $ 319,000.00. Put your business idea on Lot 6 & 7 Columbus Road. Take a good look at this home . Its a custom built 2sty home over looking a 6 ac lake and 8.92 acre of woods. All kinds of different types of trees ,from pine to hard maple and oaks and hickory. The lake has its own cave along the water way. Yes its stocked with fish and turtles, Like I say , Don't be shy Its not a drive Buy!!!!! The home sets on a dead end road and only 4 homes on the road . Five bedroom, three bath ranch home located on a cul-de-sac. Main level has three bedrooms with master suite and second bath in hallway. Kitchen is spacious with dining area and access into two-car garage. Hardwood flooring under carpet throughout main level. Lower level is finished with two bedrooms, full bath, den with gas fireplace, child's playroom and walkout to patio. Located just minutes from uptown Athens, this tucked-away 3 BR, 2 bath home disrupts the conventional norms of a "step saver" ranch while still preserving the practicality and convenience of single-floor living. Artistry abounds here from the moment you step inside. 101.13 of Prime Hunting Acres for big game deer and turkey with wildlife trails, a beautiful rock face cave and several streams populating the property. There is also a nice cleared field for food plots and setting up tree stands. Larger land tracks with lots of road frontage are becoming harder and harder to find, plus this woodlot borders the 502 acre Desonier Preserve. Interesting architectural details inform this home at every turn, from the exquisite leaded-glass, single-arch front door to the beautifully preserved floors and trim to the unique nooks, crannies and built-ins throughout. Great location with high visibility for roadside business! 8.43 ac. m/l. Approximately 1.5 ac. m/l cleared. Over 650 ft. (ATO) of road frontage directly on SR 7. Approximately .6 miles to Rt. 50/7 interchange. One mile to Coolville, 4 miles to Tuppers Plains. Conveniently located equidistant from Athens (17 minutes), Parkersburg (19 minutes), and Pomeroy (25 minutes). This well loved and well maintained East Side home features a remodeled galley kitchen with stainless steel appliances, granite counters and warrantied, hardwood, custom cabinetry. The open floor plan offers an abundance of natural light and features hardwood floors, Wainscot picture frame molding, vaulted ceilings and stone veneer surrounding the gas fireplace. Look at this house! Situated away from the road, immaculately maintained, super clean, updated and ready to go. This 3-4 bedroom, 3 bath home has newer windows, newer siding and metal roof. A large, remodeled kitchen, great for gatherings, has granite counters, a large island with prep sink and loads of maple cabinets for storage. This move-in-ready 4+ BR home nails the three R's of Reading, 'Ritin' and 'Rithmetic AND the three Rs of a full-home rehab. If you've been searching for a house that feels like home with a price tag that makes good "cents," this is a must-see. Starting with the solid brick exterior (meaning quality & low, low maintenance) & tasteful landscaping, the home delivers from the curb on in. Inside is more spacious than you might expect. If you want to expand your investment property portfolio, stop, drop (what you are doing) and roll on over to this property to see its potential first hand. This is a hot one! Plan to check out the whole 18-plus acres because you'll want to see the full development potential. Madison Townhouse featuring 4 bedrooms and 3-1//2 baths, finished lower level. Stainless steel appliances Property in great condition..
Over 8 acres in the heart of Hocking hills! Corner acreage that is located at State Route 56 and Laurel Run Road. Property has a small pond and creek. A huge separate pole garage with overhead loft that has been made into sleeping quarters, Garage area has a huge commercial car lift that will convey with the property. Garage has been added on to so has a very large enclosed carport area also. Nestled in Fullview Heights Subdivsion. X -tra Large Workshop/Garage has 2 bays with 15 foot doors for trucks and/or equipment PLUS a L shaped brick ranch. Large living room with gas fireplace will be a delight to entertain in. Family sized dining for Christmas dinners, large knotty pine 4 season room with two glass sliding door opens to house and glass man door to back yard. 71.638 acres for sale in Athens County, Ohio. If your looking for seclusion and peace and quiet look no further! This 2 (could be 3) bedroom home sits back off the road and would be a great place to start a family. Recreational possibilities are endless. No renovations required! This picture perfect east side bungalow welcomes you at the front porch. Through the front door you're invited into the living room with warm hardwood floors and gas fireplace. The dining room adjoins the kitchen (with new dishwasher and microwave) and living room allowing for today's preferred open concept living. 170 Second has 3 bedrooms, living, dining, bathroom, kitchen, enclosed front porch, laundry/furnace/utility area and one car attached garage. Most windows have recently been replaced, there are still a few older ones. Mostly hardwood floors. Kitchen has gas range, refrigerator and dishwasher. Laundry appliances are newer also. Currently rented to prof couple for $800/month.172 Second is duplex. $10,000.00 PRICE DROP. OWNERS HAVE FOUND THEIR RETIREMENT HOME AND ARE PACKING TO LEAVE! Owners retiring and moving South! This rare 4 bedroom 2.5 bath ( with plumbing for a tub or shower in half bath already installed ) has been totally updated in the last 5 years. This home has been meticulously maintained by current owners. Wonderful opportunity for multiple sources of income. This property has a tanning business leasing the commercial building and has a 3,380 square ft house and 2 separate rentals all generating income. A convenient location in Gallipolis, close to all local attractions and a view of the Ohio River. This property also features a corner lot and in a high traffic spot. Excellent opportunity to purchase an approved duplex. The two apartments consist of 3 bedrooms, 1 bath each. 178 N. Congress is the 1st floor apartment with original hardwood floors that have been refinished, new gas furnace, nice sized living room, open kitchen, 3 bedrooms, a full bath, and full furnished laundry facility in basement. 178 1/2 N.
Sparkling clean 4 bedroom home just waiting for new owners to move in! Comes complete with three full baths and an extra room that is a craft room but has many possibilities as a 5th bedroom or an office. A master suite on the main floor, along with 2 more bedrooms and another full bath. All with hardwood floors. Those floors continue in the living room and dining room. Very Spacious open floor plan featured in this beautiful cedar sided Cape Cod home with tons of curb appeal resting on over 10.5 acres nestled in the country y et close to schools & shopping. Wow!! This stately 2 story has it all! Plantation shutters throughout home, complete irrigation system and sprinkler system. Hard wood flooring throughout, tankless hot water tank, granite kitchen counter tops, plus in ground hot tub in the exercise room that's just off the living room kitchen area. Tons of space. Head to the hills and set yourself up in this 3 bedroom 2 bath country home. This gorgeous Meigs County Retreat is the complete package. Free gas from a private well, rolling hills, rock features, a large pond, and trails throughout. With abundant wildlife, this is the ideal hunting retreat.. There are countless updates inside and out, yet the character and originality has not been compromised. REDUCED! GREEN TOWNSHIP Check out this spacious home with lots of family room inside and out offering a huge family room, equipped kitchen, formal living room, and a master bedroom and bath fit for a king and queen all on the main level. Upstairs find an additional family room, bath, and three bedrooms. 57 Bricks Free when you purchase this home. there are the aforementioned bricks, a leather jacket (might be very special but doubt it) lots of bolt drivers, all kinds of do dads and even some rare wines and bourbons (maybe not so rare) PLUS A Wonderful brick ranch home on a basement. Legend has it that this historic home was moved from another location to this far-eastside neighborhood. Indeed, it's got the look and feel of a near-eastside "4 square" but with the allure of Sells Park and the adjoining thousands of public acres of Stroud's Run just a short walk up the street. Love East Side Porches? Not only does this classic near east side home have one of the most "sittable" front porch's ever, there is a super rear porch that opens into the house for a wonderful 3 season covered patio. This "home" (not just a house) has hardwood floors, 2 full baths, upstairs sunroom, family sized & dining rooms. Reduced price for a great deal to you!! Come One Come All!!! The Living Room has been stripped of old wallpaper & freshly painted. The homeowner has had a new heat pump installed! This house boasts a large living room, kitchen, dining area, laundry room, 2 bedrooms, 1 bath, Master suite on the main floor!! Also a large sunroom across the back of this home. More home then you'll know what to do with! Remodeled from top to bottom, all three levels will not disappoint. Over 1,000 square feet of main floor living is complete with a massive owners suite, new wood floor kitchen containing all new appliances, a half bath for the guests, and a laundry room. Upstairs you'll find three additional bedrooms, a large 4th bed or family space, and a full bathroom. If you're looking for more room, this house has it! With 5 well appointed bedrooms and 3 full and recently updated bathrooms, the home has lots of space for everyone. Enter the backdoor to a spacious mudroom. 77 acres +/- of rolling hills and seclusion! An old abandoned road, Brawley Road, leads you deep into the heart of this beautiful land. Mature timber and greenery will provide you the perfect hunting and recreation location. A nicely maintained pasture at the front could be your hunting cabin or home (check with Athens County Health Department for septic and utility approval). Large luxury home loaded with amenities! Walking up to the home you immediately notice the copper roofing on entry followed by a nice 8' solid wood door. Once inside you are will be stunned by the beautiful entry foyer and the gorgeous chandelier hanging in the center. Wood stairway leads you to second floor on the right and solid wood pocket doors on the left. Welcome home to the Little House that Could! This unassuming little home on Athens' near eastside will surprise you the moment you walk inside. Actually, scratch that. They don't make doublewides like they used to--and we mean that in a good way! This big beautiful home on 14+ acres has all the quality features of a stick-built home: permanent block foundation, insulated 2x6 exterior walls, 2x4 interior walls, 1/2" drywall throughout & NO popcorn ceilings! Seriously, park your preconceptions at the door and head on down to Meigs. 104.9 acres located in Gallia County Ohio. Located just 20 minutes from Gallipolis and Rio Grande. With multiple building locations this property would be ideal for the start of your new farm. If your a serious hunter, and looking in this area, don't let this one get away. Tillable, big woods, road frontage, trails throughout, mostly rolling topography. Beautiful, remodeled, 4 bedroom, 2 bath, large home located close to everything! Walk to the bike path, library, rec center, and campus.1st floor bedroom and full bath. Office, 3 bedrooms and full bath on second story. Living room with hardwood floors.Tiled entry at the front door. "Don't judge a book buy its cover!" This home has lots to offer in a great location close proximity to schools shopping and much more. Brick Ranch resting on easy to maintain 1. This conveniently located ranch with full basement was just updated throughout. Just minutes from hospital and amenities. New flooring and paint through interior, both baths remodeled, several new lights as well. New metal roof just installed will last for years. Inside features include two brick fireplaces in large family rooms, large bar in basement rec room, sun room off of kitchen. All American Trophies and Sports is a well known, established business in Athens County. The current owners have successfully operated this business for twenty five years and have decided it's time to slow down. This is your chance to assume a business already thriving with an established customer base as well as many opportunities to expand and grow. This property has 5 parcels all with highway frontage! 2 lots size 25x120 and 3 lots 50x120. Utilities available on all empty lots. Could have mobile home hook up again but homes were removed a few years back. Home is a 2 bedroom with a full basement. A HUGE 32x50 ft. garage with utilities and 4 large overhead doors. The address says Nelsonville but you will think you are in Buchtel. Close to the award winning Nelsonville-York campus and just over a mile to the Rt. 78 bypass to Rt. 33 this house could not be more conveniently located. The owners have recently built on an addition to expand the living space and added an owner's suite with en suite bathroom and a huge walk in closet on the main level. Like a home with a country valley view? This spectacular home has it all! 3 Bedroom 2 bath split level home is what you've been waiting for and it's priced to sell. So many updates already made. Hunter ceiling fans. Newer metal roof. New dishwasher and range in 2018. Includes a 33 foot round pool with solar cover. Three bedroom Ranch home situated just outside the limits of Albany. 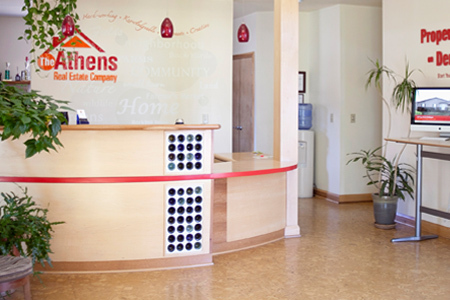 Located in close proximity to Alexander Local Schools and just a short drive to the City of Athens. Updated home with 3 bedrooms, 1 full bath, 1 half bath, and remodeled kitchen with new appliances. Just over 73 acres.... Home with large kitchen, computer room large master bedroom with walk-in closet. Home was remodeled in 1997. There is a 20 x 30 flat barn, a 29 x 55 closed wood pole barn and 10 x 51 lean to. Property needs TLC. Taxes listed are on Homestead Reduction - normal w/b $2138. PACKAGE DEAL!! #1) 2 story,4 bdrm.,open attic,1 1/2 baths,8 rooms total. 2,180 sq.ft. ATA New furnace 2017. Blown in insulation.Needs some cosmetic repairs. Handicap accessible with option for chair lift. #2) Rear of #1) Brick carriage house,upstairs 2 bdrms,1 bath, open living/kitchen area.New furnace( 2017)and laundry area on lower level.Approximately 700 sq.ft. ATA. #3) 2 bdrm. Price Reduced! Sellers continually making updates to this already move in ready home. This home is located in a quiet country setting. This three bedroom, 1.5 bathroom home comes with close to two acres of property that is surrounded by 50 neighboring acres. Located on a no outlet street in Glouster. Some original hard wood flooring, new flooring and other updates. Great opportunity to own a townhouse in this convenient east side location! This 3-bedroom, 2-bath, 1-car garage unit is located near the bike path, Ohio University, city rec center, library and shopping. The main level has a desirable first floor master suite, spacious living area and kitchen with adjoining first-floor laundry. Upstairs you'll find two additional bedrooms and full bath. Just what you are looking for - 3 bed 1 1/2 bath bath ranch home with short walk to restaurants, banks, hardware, and grocery! Level fenced yard, screened porch. House in great condition. 2 car attached garage. Eat-in kitchen, living room, dining room, 3 bed 1 1/2 bath - all on main floor. Lower level - large beautiful family room with wet bar, pool table, and wood-burner. FREE GAS / 2 BEDROOM, 1 BATH HOME WITH 1 AC. m/l LAKE ON TOTAL OF 5.867 ac. m/l. Home sits in a very private setting located at the end of the Arbaugh Subdivision in Tuppers Plains on 3rd St. When you arrive you will find a beautiful 1 ac. m/l lake to your right with the 2 bedroom, 1 bath ranch home overlooking the lake. A house built to last with beautiful views and a flat fenced backyard! This southwest style stucco home is perched high above the City of Athens with spectacular views of Uptown! It includes 3 good sized bedrooms, 1 full bath, a bright kitchen, a large living room with fireplace, formal dining room and a laundry room with a second entrance to home. River front property featuring a great river view from the front of the home - LR, DR, FR and K plus a cozy covered front porch and sunny patio. Outside features include nice lot, garden spot, private side deck and covered front porch. Large foyer/LR w/wood burning FP, dining room has 2 built-in hutches. Two BRs have built-in drawers. This well maintained, 3 bedroom & 2 full bath home is situated on 5.619 acres with a view of the beautiful Ohio River and your very own pond. This home features a full basement, ramp access to the front door and is move in ready. With a quiet and peaceful evening sitting on your front porch looking at the Ohio River or fishing in your pond, this home is a must see.